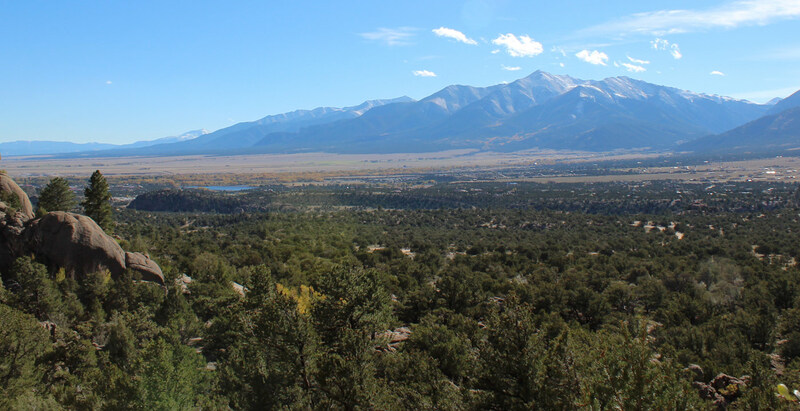 An hour south of Salida you'll find Monte Vista, a historic little town that has so much to offer. Home to, and famous for, the Sandhill Crane migration that stops off every February near Monte Vista's Wildlife Refuge, this event draws people from all over the world to witness the 20,000+ Sandhill Cranes on their way north. If wildlife isn't what you're after, Monte Vista is a short drive to the Great Sand Dunes National Park, Wolf Creek and world class skiing and snowboarding, as well as home to historic railroad trips taking you over ancient passes, scenic byways you can drive and even a UFO platform, for those who wish to gaze at the night sky. Whatever your passion, Monte Vista has something that will captivate it.